It’s almost Wednesday, and you know what that means: a fresh load of comics and graphic novels! With so many publications hitting your local comics store or digital storefront, the BF staff is here to lead you through the woods with our weekly staff picks. Satisfaction guaranteed. 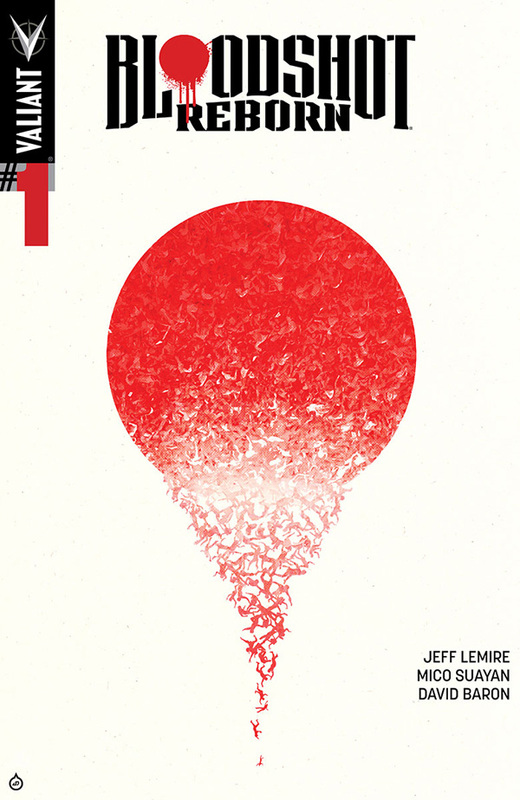 This is not your father’s Bloodshot, or at least not the same version of the character anyone reading the series in the 90’s would be familiar with. After the events in the recent miniseries, The Valiant, Bloodshot no longer has the nanite technology running through his bloodstream. 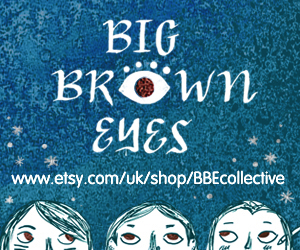 His regenerative powers are gone, as are his bone white skin and bright red eyes. Now able to live as a normal-looking human, Bloodshot goes into a self-imposed exile. But he soon learns that though he may be able to walk away from his past, the memories of all the horrors he committed while under the control Project Rising Spirit aren’t so easy to shake. And when a rash of shootings by gunmen who look just like Bloodshot begin, his guilt will send him on a mission to stop the killers, even if it means diving headlong into the violence that nearly destroyed him. When DC announced its upcoming wave of post-Convergence #1s, I was especially excited to see David F. Walker on Cyborg with Ivan Reis and Joe Prado. Walker’s been turning in smart, wrenching crime drama in the pages of Dynamite’s Shaft revival, and he’s also an accomplished filmmaker as well as pop-culture commentator at badazzmofo.com. 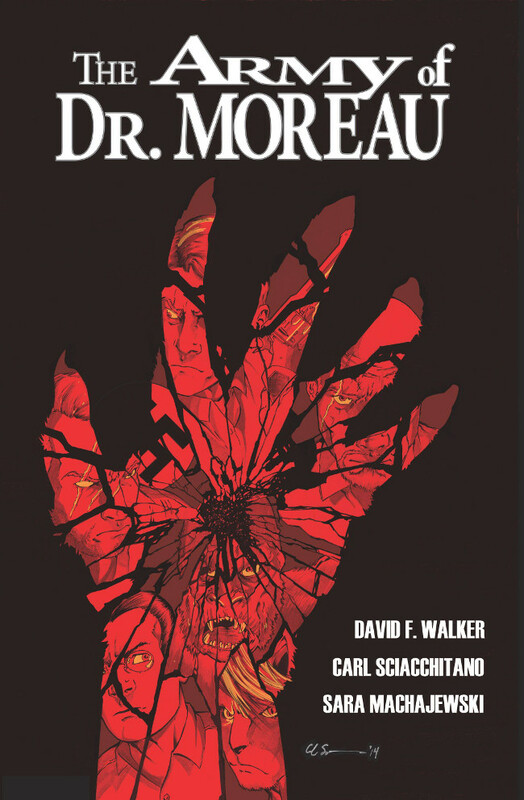 The Army of Dr. Moreau, Walker’s Monkeybrain miniseries that reimagines Wells’s classic against the backdrop of World War II, sounds like great fun, and it’s now available in a handsome hard copy edition thanks to IDW. Expect plenty of action when an Allied force confronts Nazis and beast-men on the titular island, as well as an updated take on the original novel’s concept of genetic manipulation and its implications. Carl Sciacchitano and Sara Machajewski’s art fitting conveys the cool combination of Universal Horror and Sgt. Rock vibes – in fact, maybe DC should be eying this team for a take on that classic character next. Emmy award-winning writer/artist Dean Haspiel teams up once again with Eisner-winner Mark Waid, in their return to Impact City and the next volume in the freakish adventures of the Fox, the second release under Archie Comics’ gritty superhero imprint Dark Circle Comics. 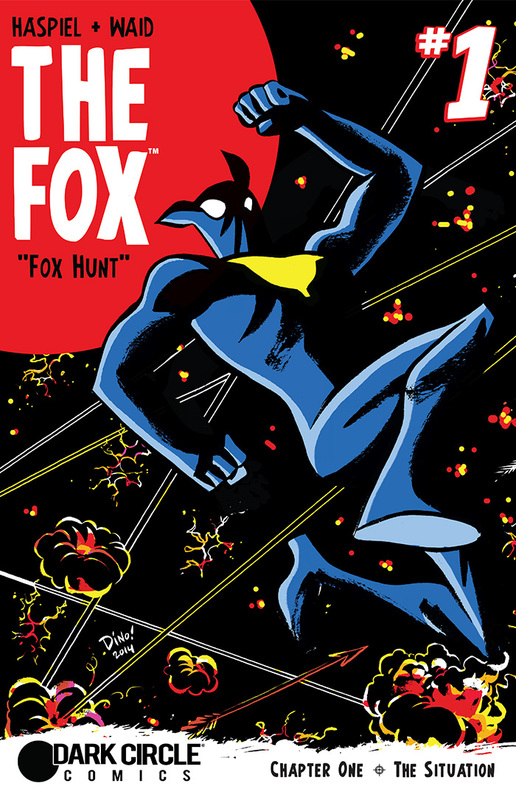 Perhaps a strange choice for an initiative designed to appeal to mature readers, the unqualified success of last year’s Freak Magnet limited series all but guaranteed the hapless hero’s place beside the Black Hood and the Shield as part of Archie’s triple threat re-entry into the world of superhero comics. Whatever the case, the Fox’s return is much welcome, indeed – even if the titular hero may not agree. Once again struggling to leave the life of the superhero behind and embrace his roles as husband and father to his family, Paul Patton Jr. nonetheless finds himself embroiled in a corrupt, convoluted land deal that will actually benefit Impact City. Is the price too high, though? As he wrestles with demons from his own past, will the Fox finally retire his signature floppy ears and turn the page on a storied superhero career? Or will the story – and the freaks – pull him down the rabbit hole once again? Find out in this fast-paced, action-packed ongoing series! 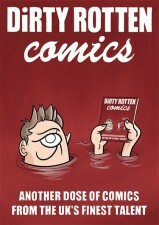 An anthology with a prevailing philosophy of inclusivity, Dirty Rotten Comics is never afraid to place newer, rawer comics practitioners next to more well-known names on the small press scene. Editors Gary Clap and Kirk Campbell launch the fourth issue of the project this week in a bumper near 100-page issue featuring around 40 comickers, both established and up-and-coming. Among the creators showcased in #4 are a number to have been featured in our ‘Small Pressganged‘ column over the last year or so, including David Ziggy Greene, Elizabeth Querstret, Sally-Anne Hickman, Hannah Lee Miller, Tim Bird, and one of Broken Frontier’s ‘Six UK Small Press Creators to Watch in 2015‘, Danny Noble. A chance to celebrate the diversity of the UK small press scene, you can order Dirty Rotten Comics #4 here. The second act to this gorgeous Hollywood noir murder mystery begins with issue #5. This series is an unqualified hit, and if you’re not reading it, April 15 is a lucky day for you. This issue hits the shelves the same day as the trade that collects issues 1-4, so get caught up and get current with one trip to your friendly neighborhood comics store. Remember, Brubaker and Phillips pack the end of each issue with articles and art exclusively available in the single issues, so while digital is nice, you’ll also miss out. Our not-so-intrepid heroes are on the trail of the person who killed Valeria Sommers, but their search may lead them to answers better left hidden. The emotional struggles of screenwriter Charlie Parish are fascinating to follow, as he struggles to balance doing what’s right against his own sense of self-preservation and self-interest. The man has secrets, and he’s not the only one. 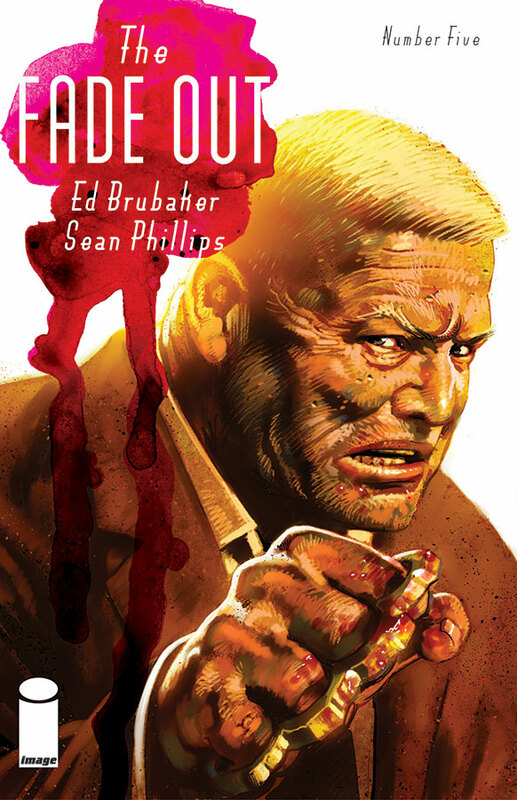 Brubaker is famous for offering more questions than answers, which should continue to confound and compel readers in this next story arc. And Phillips was simply born to draw this era. Enjoy! Sci-fi is definitely a genre on the rise in comics at the moment. 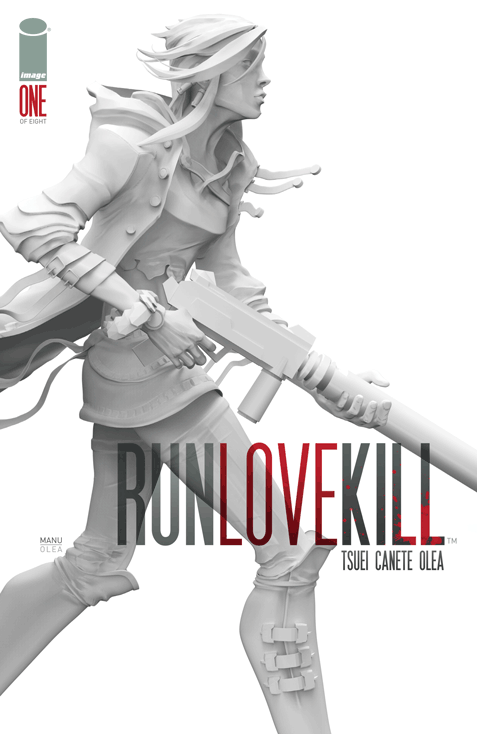 The latest release from the seemingly inexhaustible Image conveyor belt is RunLoveKill, marking the return to comics of illustrator and animation designer Eric Canete, along with co-writer Jon Tsuei. The eight-parter, set in a barricaded futuristic city, looks set to be a high-octane blast, depicting the efforts of Rain Oshiro, a fugitive assassin, to escape the shadows of her past and ‘The Origami’ – a military force determined to capture or kill her. The book certainly has a distinctive look, both inside and out. Apart from Canete’s dynamic design and storytelling, colour artist Leonardo Olea is also behind the striking design of the series, with CGI artist Manu Fernandez providing eye-catching 3-D renderings for the covers. 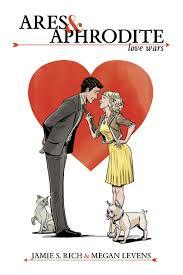 Drawing you into the slick and duplicitous world of divorce law, Hollywood starlets and mayhem-causing ex-wives, Oni Press’ Ares & Aphrodite: Love Wars is a modern take on the age old tradition of bets gone wrong (or maybe right?). Will Ares is a successful, charming and somewhat moral-less divorce layer, who’s just run into Gigi Averelle, a wedding planner, when their clients Evan Beatty – a high-flying movie producer – and Carrie Cartwight – glamorous Hollywood starlet – intend to marry. It’s a classic romance in comic form, as the two players at odds – Ares and Averelle – make a bet based on wether or not the clients will wed. If they do, Will gets a date with Gigi. If they don’t… he publishes a full-page newspaper ad explaining to the world how many marriages he’s destroyed. What could go wrong. Well for one Beatty’s disgruntled ex-wives make themselves known as the story takes on a fun, comedic spiral into the absurd, cheesy and light-hearted romantic tangle. Jamie S. Rich’s witty writing and Megan Levens classic, but stylish, still of comic art set the stage for this light and fluffy, but feel-good, story. Frederik is Broken Frontier's founder and the site's former Creative Director. Hailing from Belgium, he learned English through US comics before hitting puberty. He also grew up wanting to fly like Superman, but now he's happy being more like Clark Kent. Staff Picks for September 5, 2018 – Prism Stalker, War Bears, Mortals & Immortals of Greek Mythology and More!